Gordon Hirabayashi was a young man who ardently believed in the U.S. Constitution. The consequences of that belief are dramatized in Jeanne Sakata’s “Hold These Truths,” based on a true story and presented by TheatreWorks Silicon Valley. Gordon, a second-generation Japanese American, or Nisei, was a student at the University of Washington in Seattle in December 1941 when Japan bombed Pearl Harbor, thus pulling the United States into World War II. Shortly thereafter, President Franklin D. Roosevelt signed the executive order that led to a curfew and then internment for all people of Japanese descent on the West Coast. The rationale was that they were a security threat. Although his family, friends and thousands of others obeyed the orders, Gordon defied the curfew, refused internment and was prosecuted for both. His case went all the way to the Supreme Court, which upheld his conviction. His internment conviction was invalidated by a federal district court judge in 1986. Gordon was only one of three Japanese Americans to refuse internment. Besides his belief in the Constitution, he was a Quaker who held pacifist beliefs. 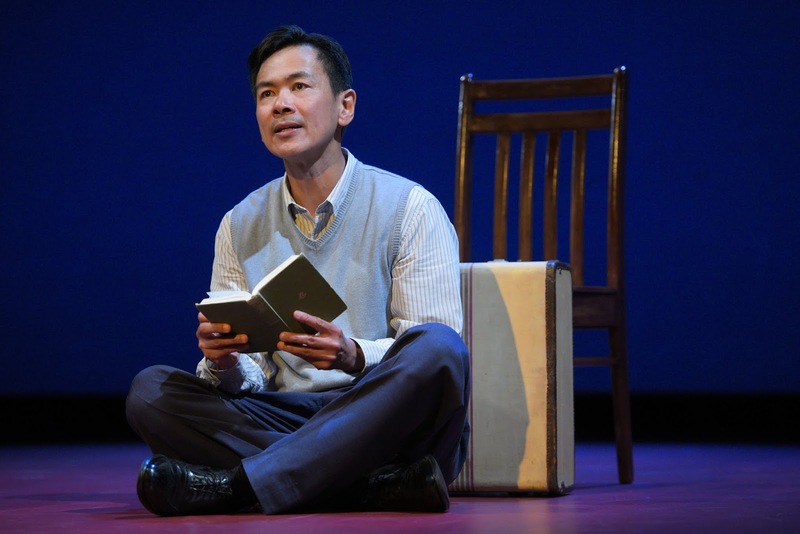 Joel de la Fuente gives a tour de force performance as Gordon in this one-man play. He tells Gordon’s story in the first person but gives voice to the many other people in his life. Director Lisa Rothe skillfully guides de la Fuente through the story’s ups and downs. She’s aided by designers Mikiko Suzuki MacAdams for the set, Margaret Weedon for the costume, Cat Tate Starmer for the lighting and Daniel Kluger for the sound. The result is a gripping drama that tells a powerful story leavened by some humorous moments. Although this story comes from a shameful period in U.S. history, it has relevance to today’s news stories about travel bans and detainment of people crossing the border illegally. Running 90 minutes without intermission, “Hold These Truths” will continue through Aug. 5 at the Lucie Stern Theatre, 1305 Middlefield Road, Palo Alto. For tickets and information, call (650) 463-1960 or visit www.theatreworks.org for information. The website includes parking information because much of the parking lot is closed for construction.